Your baby is growing, and the snugly wrap or carrier that was perfect for carrying your newborn doesn’t feel suitable now they’re much bigger and more active. 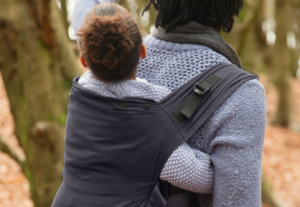 Once that first carrier is no longer comfortable or practical, many parents find that they naturally stop using slings, without ever exploring other ways to carry. Back carrying, for example, is a great way for your bigger baby or toddler to share your experiences and view of the world, whilst giving you freedom to move and manage daily tasks easily. Despite the practical benefits, back carrying is a parenting tool that many families just don’t use. This might be because it seems daunting, or simply that it just never occurs to you to try moving from front carrying, where you’ve been so comfy for so long. But what other concerns might be stopping you moving out of your front carrying comfort zone and giving back carrying a go? As with all babywearing, yes it’s very safe, as long as it’s done properly! Make sure that your baby is held snugly against your body so that they can’t flop or slump (or fling themselves) back or to the sides. A carrier that is too loose or too big won’t be supportive and will cause the weight to drag uncomfortably at your shoulders. Is my baby big enough? Have I got the Right Carrier? In order to carry your baby safely on your back, you need a sling or carrier that is suitable for back carrying. Best for back carrying: Many quality multi-position buckle carriers now offer a back carrying option -so check the manual to see which positions are possible and whether your front carrier will convert to a back carrier. For buckled carriers, wait until your baby is 6 months and/or sitting unaided before using these to back carry. 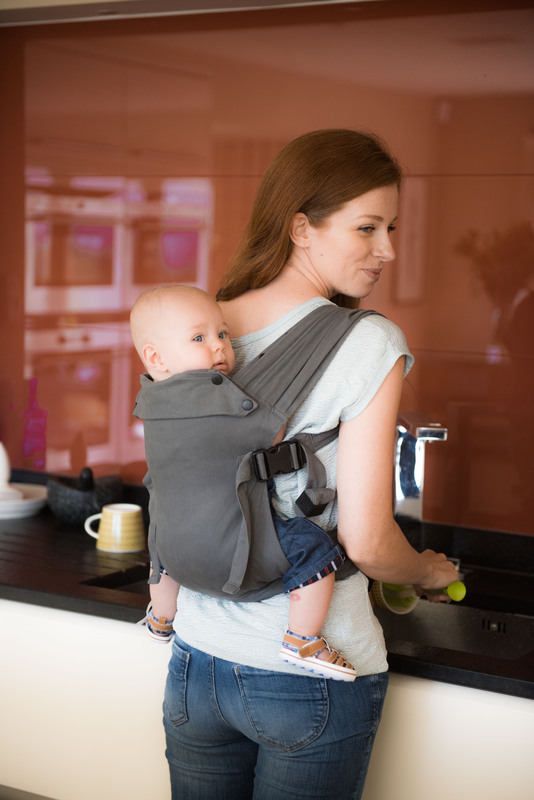 Non-stretchy tie-on carriers like Meh Dais and Woven Wraps are also all suitable for back carrying, and experienced users may be able to do this safely from a younger age as tie-on slings are much more adjustable. Be cautious with: On the whole, it’s usually easier and more supportive to avoid back carrying in a pouch, ring sling or stretchy wrap. For these types of carrier double check what’s recommended by the manufacturer, or seek advice from a carrying consultant. This is the biggest barrier to back carrying; actually, getting them up there! In almost all suitable wraps and carriers, it’s completely possible to get your child safely onto your back by yourself. Some carriers are easier than others; if you’re nervous try more structured options like a buckled carrier or meh dai. Woven wraps take more practice. Practice first using a doll or baby substitute (pillow or a big bottle of water for the weight). Find some instructions that make sense to you – it may be worth watching a few different videos to see which you find most clear. Then practice practice practice until you feel confident. When you try with your baby, do either kneel on a bed, by a sofa, or have someone spot you. If someone is spotting you while you practice unaided back carrying, don’t let them touch you, your baby or your carrier. It may seem counter-intuitive but in my experience if someone else gets involved whilst you’re moving your baby around your body then you’re actually more likely to drop them. safely. If someone else takes baby’s weight then you won’t be able to feel how they’re being supported by the carrier. So, ask your helper to keep their hands off, but be ready to catch if baby does fall. If you’d like professional help learning to back carry, then seek out your local Carrying Consultant or Sling Library – there are many who can offer private or group classes to teach unaided back carrying. What if my baby doesn’t like it? When you first try something new with a carrier it’s very normal for babies to fuss a bit. You’re likely to be a bit nervous; they’ll pick up on this and may feel uncertain about the new movements or new position behind you. The best thing to do is to get them supported safely on your back and get moving. Once you’re on the move, they can see everything going on and will quickly get over their initial worries. Once you’re confident, then back carrying can give you and your little one a wonderful new and super easy way to explore the world together! Emily Williamson is an experienced carrying consultant, the designer of the Izmi Baby Carrier range, and the founder of The South London Sling Library. 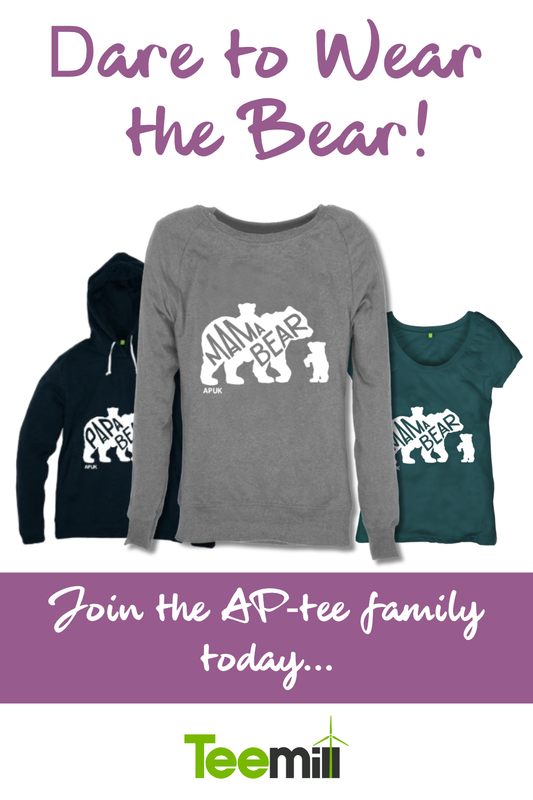 She believes that every family and individual is unique and is passionate about helping parents to carry their children safely, comfortably and in a way that suits their family’s needs. Emily continues to provide expert advice and training on all aspects of carrying, slings and baby carriers to parents and to the nursery industry. Before her enthusiasm as a babywearing advocate turned into a full time job, Emily worked in child psychology research, and studied philosophy, psychology and child development. She lives in London with her two unique children.